Panasonic TG-4 Tough Waterproof Camera. Whether you go for coral reefs, wrecks or the marine life. With the TOUGH TG-4 at your side, you have a waterproof digital camera that performs to the highest level even in the depths of the ocean. Featuring a super-bright maximum aperture of 1:2.0 the high-speed lens delivers breathtaking shots of your diving or snorkelling adventures, with brilliant colours and bright seascapes. 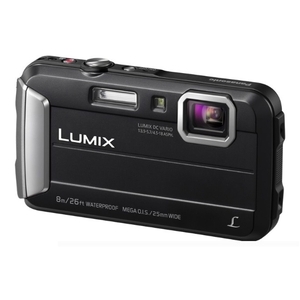 The 16.1 megapixels can capture a world of moments on its expanding 220MB built-in memory card. With 4x optical zoom and 8x intelligent zoom, you can get up close and personal with your surroundings and take down every single detail. With the Creative panorama function, it’s possible to even shoot a horizontal or vertical panoramic image with consequent shots taken by overlaying the previous picture. The Creative Control (recording mode) and the Creative Retouch (playback mode) can then give you the vision of an artist, leveraging the various filter effects. Even when you are in action, the MEGA O.I.S. (Optical Image Stabilizer) can compensate for any blurring caused. Just a slight hand-shake movement is accurately detected by a sampling frequency of 4,000 times per second. The result is a sharp, clear image which is witness to your venturing abilities. 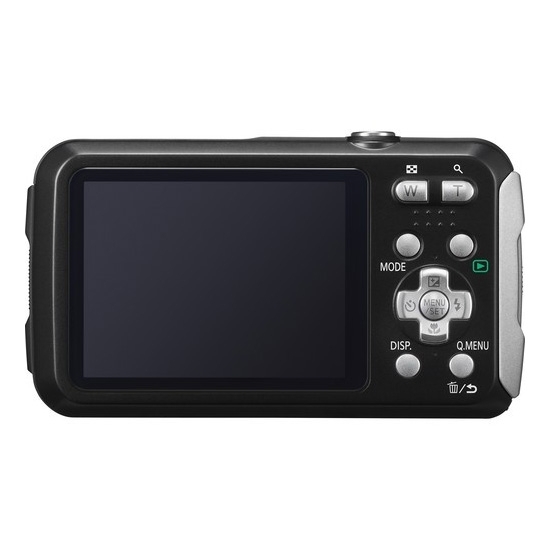 Record videos in high definition, 1280 x 720p MP4 format with the press of an independent motion picture button. Shot in 25 fps, the Motion Picture Recording offers a true-to-life recording of your experiences. Better still, the button is conveniently located on the frame for you to switch between photo and video shooting instantly. Even in underwater environments or at night, the torch light supports the recordings of beautiful videos. The functionality also has the possibility to only turn the light on, to light up the subject while the camera function is not activated. The landscape or specific subjects can be recorded over a time period too. The Time Lapse Shot functionality means that you can leave the camera to record a stationary observation. A series of sequent images can then be combined in a camera to produce a time lapse video. The DMC-FT30 has been designed to withstand an action-packed lifestyle. Capable of diving down in to 8 meters of water, the compact camera is perfect for snapping-up the underwater scenery. Better still, it is dustproof, Shockproof up to 1.5 metres and Freezeproof down to -10 °C, so you can never venture too far. Creating stunning under water shots, the Red Colour Reproduction of Advanced Underwater Mode compensates for the red colour which is too easily lost. Sports, Snow and Beach & Surf Mode can also be selected easily from the menu so you can get the mode which is just right for your actions.